Goldelines’s mother was burned at the stake for witchcraft by the evil new preacher who has come to town. Now an orphan, Goldeline lives in the forest with a group of bandits led by Gruff, her fortuitous guardian. The band tricks travelers into thinking the woods are haunted and rob them. Life is good for Goldeline and her crew, until they attack a carriage carrying a boy, Tommy, whom Goldeline secretly befriends. Together they must find a way to escape the evil preacher as he chases them through the uncharted woods. Their journey takes them to the fabled bandit town of Moon Haven, Goldeline’s last hope for finding Gruff. The two are too late and soon find that they only have each other left as the preacher makes his way through the countryside. It isn’t until Goldeline finds her own inner strength that she can face the preacher and triumph. This is a fantastic and adventurous fantasy story for middle-grade readers. The story is reminiscent of classic fairy tales, but told in a deeply Southern manner. The dialect is thick at times and the descriptive language is reminiscent of the deep south. 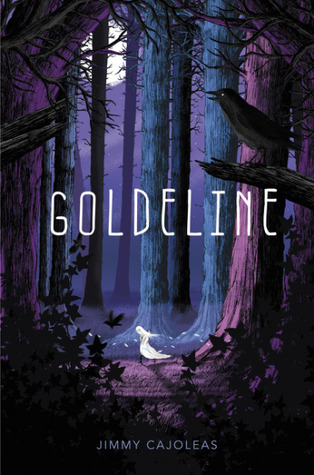 Goldeline is a strong force who is witty and resilient. She grows deeper in her own personal understanding as she faces the trials of her journey. Tommy develops to a stronger character as the book progresses and is a great supporting character. The author keeps the story moving and full of tension as readers root for the young pair to find a safe place. This is a story about the evils of power in the wrong hands, the corruption of religion, and the strength we all have within ourselves. This book is highly recommended for anyone who is looking for a fresh perspective on fairy tales and whoever has wanted to cheer for a mighty and courageous hero.